Cruise Palma de Mallorca aboard a private boat for an experience that’s tailored to your preferences, with options to customize the duration or add refreshments. 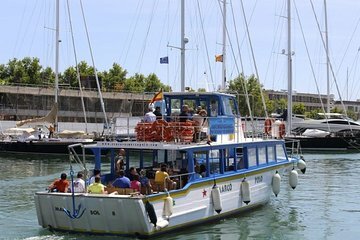 Since some of Palma de Mallorca’s most beautiful sites are best seen by boat, from Belliver Castle to the cathedral, land-based tours can mean obstructed views; treating your group to a private cruise gives you a front row seat for exploring the city in style. Escalera Real, on the wharf near Bar Pesquero. Terminal las Golondrinas, across from the auditorium.